The author and publisher 2RockStars and the accompanying materials have used their best efforts in preparing the 2RockStars products. The author and publisher make no representation or warranties with respect to the accuracy, applicability, fitness, or completeness of the contents of its products. The information contained in the 2RockStars products is strictly for educational purposes. Therefore, if you wish to apply ideas contained in the 2RockStars products, you are taking full responsibility for your actions. The author and publisher do not warrant the performance, effectiveness or applicability of any sites listed or linked to in its 2RockStars products. All links are for information purposes only and are not warranted for content, accuracy or any other implied or explicit purpose. And expect links suggested to provide a form of compensation to the author. That's business! Average Results... Our results aren't typical and should not be expected! We can't guarantee your success because we don't know you, your business, or your work ethics. The Average Expected Results for people who watch or buy programs or training material (such as this) from us (or of any kind) will never get any results or make any money at all. You can lead a horse to water, but you can't make him drink. Are you average? We CAN say for sure that the information we provide and share is accurate to all our knowledge. 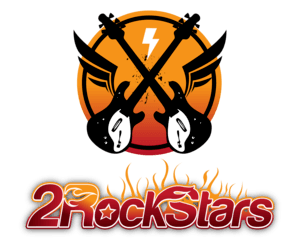 2RockStars is © copyrighted by 2RockStars.. No part of this may be copied, or changed in any format, sold, or used in any way other than what is outlined within the 2RockStars license agreement under any circumstances.